New Moon '13Tau' = "A Man Handling Baggage"...INDUSTRY...pos: an effective self-confidence and virility in normal living; neg/unconscious/shadow side: a dissipation of self hood and a depreciation of all ambition through the performance of drudgery without protest. Hour of Mercury 16Ari39 in 2nd house; Sun/Moon conjunct both the 3rd cusp and US Inaugural Ascendant (President's Oath of Office); transiting Midas (gold) conjoins IC (End of the Matter; The Drain) and tr Orpheus (sad songs; grief; loss of partner) joins the chorus along with US natal Uranus 8Gem55 which echoes transiting Uranus, planet of disruption and rebellion, now in US natal 4th H of Domestic Scene and Real Estate; one of the power asteroids, Hidalgo 8Sag32 Rx, is at MC, the Aspiration and Goal Point of any chart. In 8th H is lonely, isolated Saturn 11Lib46 Rx about to pass into 7th H of Partnerships and Public Enemies; as you know, on two levels, Saturn also represents managers and the Democratic Party in a Mundane Astrology horoscope; US Saturn Return still in progress with Uranus 2Ari50 (conjunct Hermes, the Magician and Astrologer) in wide opposition to Saturn as status quo continues to battle progress and describes a primary planetary signature of the Obama administration and presidency, the Saturn/Uranus opposition. Mars/NN = ASC: comradeship; vigorous cooperation; Family or family ties. 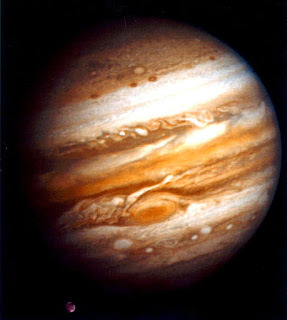 Jupiter/NN = ASC: pleasant associations; finding or locating people; responding to those who have separated from the group. Saturn/Uranus = Pluto: brutality and violence; concealing changes to activities; ending extreme practices that hinder progress; drastic changes in a previously liberal atmosphere; a desire to overcome a difficult situation through extraordinary effort; rebellion against one's lot in life; harm through force majeure. (This T-Square remains in force in the Full Moon chart, below. Uranus makes a helpful trine (120 degr) to MC 8Sag12 which indicates goals that are aided by Uranian genius, creativity, originality, and sudden renown; Uranus trine MC favors occupations in Science, Space, Astrology, and Technology fields. Well, the Moon's North Node (NN) of Destiny, Future Direction, and Public Contact falls in the 10th H of Career and Public Status and it's in Sagittarius, sign of The Seeker; this NN is in 1st H of the US natal chart most often used, the Sibly version (July 4, 1776 5:10 pm LMT Philadelphia, PA) with '13Sag' rising and MC 00Lib53 - where tr Saturn 11Lib46 Rx now hangs out making accountability and responsibility our government's primary lessons. Raising the US credit limit to keep from defaulting on our nation's debts is one of our accountability lessons. That our government has put the nation in such a pickle (with no good answers) belongs on the red ink side of the political and banking classes' ledgers, and was aided and abetted by shady, wealthy string-puller, Pluto in Capricorn, sign of the olde countrie. Calendar Note: during the dark phase of the Moon - before the New Moon of May 3rd - there's May 1st, aka, International Workers' Day and a day of protests, demonstrations, and civil rights movements which may be seen in contentious protesting Mars and the rest of the testy Aries line-up opposing staid Saturn, planet of government, law, business, and The System. Yes, the New Moon's Cardinal Aries energy is obvious from the line-up of Uranus, Venus, Mercury, and Mars from 1st H into 2nd H and frustrated by restrictive Saturn in Libra. And with watery Neptune now in its sign of oceanic Pisces and Chiron 4Pis51 being the first to rise (and on its way to President Obama's previously discussed Chiron Return), we may wish to consider the mdpt pictures formed which point to deceptive, fraudulent, dreamy Neptune. 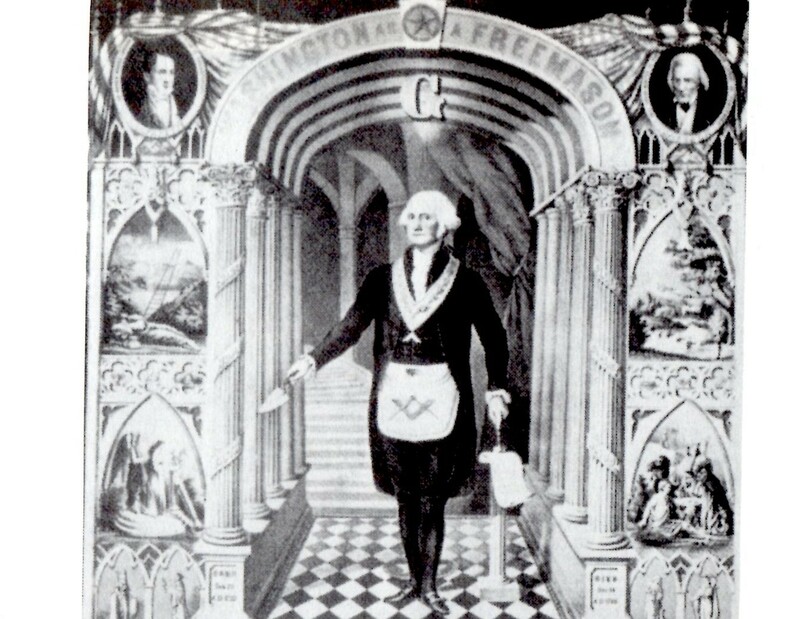 The Jupiter/Pluto pair highlight Global Bankers (the US Fed, IMF, World Bank, etc), Royalty, the Pentagon, SCOTUS, Religious and Educational Leaders - and those who are capable of mounting Large-Scale Projects, plus, pacts with foreigners and criminal elements with great social influence. The Mars/Pluto duo is more primal: our military, and the security forces aligned with them, are spotlighted, along with clandestine agencies, suppression and torture, war, weapons, chaos, the violence of zealotry...and the police state. Foggy Neptune provides a secretive mask and a smokescreen of confusion and doubt. Jupiter/Pluto = Neptune: unclear goals in life; drawn to mystical religions and abstract ideas; confused thoughts and plans; adjusting the data; omitting key facts; working a situation into one's own format. With Cancer on the cusp of the 6th H and most of the self-protective, canny sign in 5th H of Creative Pursuits, Gambling, and Risk-Taking, we may expect fluctuations, changes, and new beginnings (New Moon) in both 5th and 6th house matters in May 2011 along with the Moon's ability to provide publicity in these areas along with 3rd H Communications and Travel issues and 2nd H matters of Earning Ability and Valuations stimulated by the presence of a New Moon. 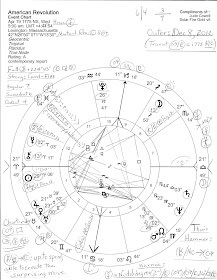 Across the Victim-Savior 6/12 axis, Full Moon 26Sco13 is in 6th H of Military and Police, Service, Work, Health, and Daily Rounds; Hour Mars 4Tau38 conjunct 12th cusp of Karma, Self-Undoing, Behind-the-Scenes, Large Institutions (Hospitals, Zoos, Congress), and Politics. As you see, since the May 3 New Moon, only Jupiter and Uranus remain in Aries for Mercury and Mars have moved on into Taurus, a sign whose shadow traits include intolerance and greed. Sun 26Tau13 conjoins Fixed Star Algol (intense female passion and rage), which, along with nearby Capulus (intense male passion and rage), are associated with the Middle East. Plus, Mars/ASC = Sun: a love of fighting; excitability; quarrels and mishaps; intense teamwork. Opposite the Sun, the Sabian Symbol for the May 17, 2011 Full Moon @ '27Sco' = "A Military Band on the March." "Foolhardy self-exploitation" is the shadow side of this degree. Opposite degrees are Illumination Points, a natural facet of a Full Moon chart which always contains a relationship-or-awareness dynamic. 1. Mercury conj Mars (2A46 = two + minutes, hours, days, weeks?) indicating ideas being brought into physical manifestation, giving or receiving instructions, sales and trade activities, an urgent need to travel, and/or transport issues. Discussions involve military service, education, communications activities, and possible surgery concerns. Plus, Mercury rules 4th cusp and 5th cusp which has a critical-crisis 29th degree upon it. 3. Mercury trine Pluto (5A17) indicates research and investigations paying off with satisfying results, debts or favors being repaid, lost items being found, making shrewd business decisions, and property assessments of a higher value turning up. Publishing (Pluto) by the media (Mercury) is favored under this fortuitous aspect as are nuclear concerns...perhaps there will be a break-through of good news in the ongoing Fukushima disaster in Japan as they try to contain the radiation. Sun/Moon = MC: union; marriage; harmony. Sun/Moon = Neptune: easy upsets; discontent; self-torment; mistakes and misunderstandings; illusions or deceptions; shared suffering; an undermining of associations; delusions about what can be done and what it will take to do it. 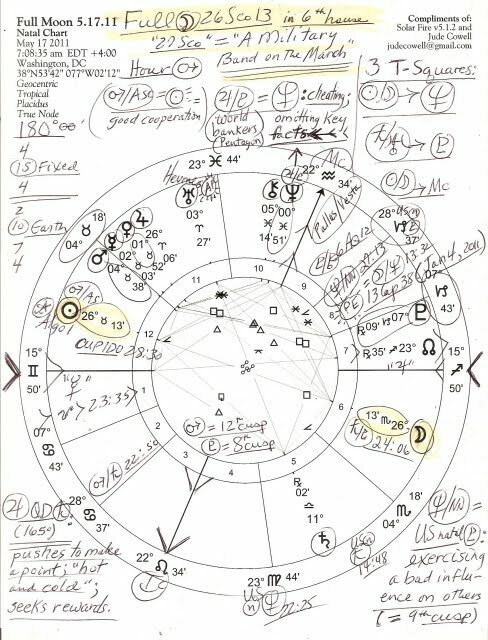 Having power-grabbing Pluto 7Cap09 Rx (god of the criminal Underworld) conjoining the 8th cusp of the Full Moon chart may indicate mysterious forces which continue to destructure and transform America, our financial system, and traditions. 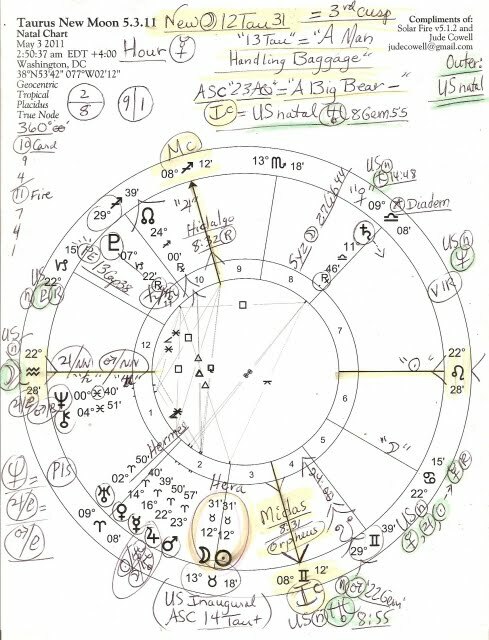 Finally, as you see, the 22AQ28 ASC of the May 3 New Moon chart (when set for Washington DC; ASC = the WHAT? Point) is at Midheaven (WHY?) of the May 17 Full Moon chart, a synchronicity linking together these two May 2011 lunations a little more closely than they might seem otherwise, and placing the New Moon's DESC (Partnerships) at the IC (Endings; HOW?) upon the very foundation of the Full Moon's culminating manifestation. Such are the lunations of the Merry Month of May 2011 as they look from Washington DC! 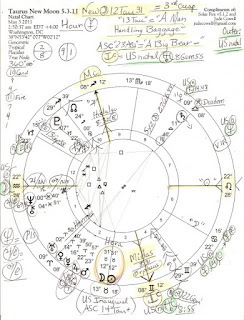 There are two Solar Eclipses upcoming: June 1, 2011 @ 11 Gemini which conjoins US natal DESC of the Sibly chart and affects US natal Uranus, planet of revolt and disruption. 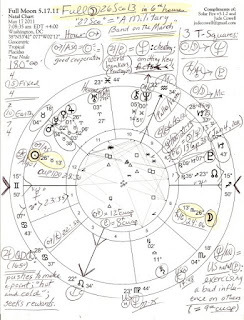 Plus, the July 1, 2011 SE @ 9 Cancer will trigger a wild card surprise relating to America's Sun/Jupiter conjunction in Cancer, sign of Homeland and of Business. Hope everyone saw last night the White House Correspondents' Dinner with SNL's Seth Myers presenting the entertainment! I admire Seth's comedic talents and thought he did a great job making the Washington political and media establishments laugh at themselves - as did the President who lampooned a self-important Donald Trump (in attendance) unmercifully. But The Trump wasn't laughing. Midpoint pictures from Tyl, Ebertin, and Munkasey.